Charlie Drinkwater is Creative Manager at Island Records. At Island Charlie is responsible for helping artists explore, develop and maintain their visual identities through art direction and design across all mediums. Charlie works as part of Studio Island , Island’s in house creative and design team, who work label wide with managers, A&R's and marketing on artist projects as diverse as U2, Sigrid, Drake, JP Cooper, and Sean Paul to name a few. Diane Smyth is the Editor of BJP Online, and has also written for publications such as Aperture, Foam, Creative Review and Communication Arts magazine. In 2015 she curated an exhibition of music photography for The Photographers’ Gallery called We Want More, and she has also curated and co-curated shows for the Lianzhou International Foto Festival and the Flash Forward Festival. 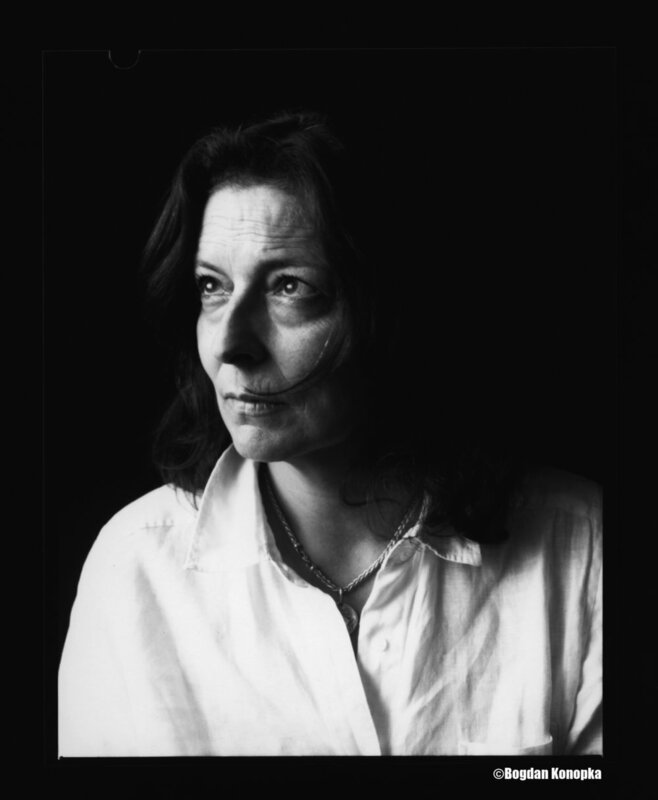 Diane has given lectures at many institutions, including University of Sussex and London College of Communications, and has judged and nominated for awards such as the Taylor Wessing Photographic Portrait Prize and the First Book Award organised by Mack Books. Recently released, the projects of two distinctive emerging photographers, Moshe by Sandrine Lopez and Ecume by Isidora Gajic. The platform is also home to the collection, Photographers’References (in collaboration with Baptiste Lignel), a series of long-term conversations with internationally renowned artists, including David Goldblatt (2014) and Richard Misrach (2016). The next conversations with Joachim Schmid will be released in 2017. Laura Noble is the Director of L A Noble Gallery (LANG) in London. She is also a curator and author of The Art Of Collecting Photography, with primary essays in many monographs including Form & Function – Chloe Rosser, 2018 At Home with the Furries - Tom Broadbent, 2018, Estate - Robert Clayton, 2015, In Paradiso, Deborah Baker, 2014, Hidden Identities: Unfinished - Yvonne De Rosa, 2013, and many more. She is a nominator for the global Prix Pictet Prize and also an Ambassador for the Royal Photographic Society’s 100 Heroines project and Docking Station in Amsterdam as well as being a judge on many photographic competitions & residency programmes. She curates at LANG and independently and also lectures on all aspects of collecting photography, professional and gallery practice worldwide. As an avid collector, Laura prides herself on discovering new talent and writes extensively on photography in numerous journals. Hoxton Mini Press was founded in 2013 by Martin Usborne and Ann Waldvogel and is an independent publisher making collectable art books about East London. We think that Hackney and its surroundings are the city's most exciting and vibrant areas. We also think that art books should be accessible. We work with the best photographers, illustrators and writers (both established and upcoming) to make books so beautiful and charming you'll keep them for your grandchildren. We also sell limited edition prints on fine paper at reasonable prices. I am an Irish producer living and working in London and founder of They Made This online visual art journal and print shop. Clients I have worked with include Christies, The Economist, Clarks, Guinness, Guardian, RFU, Pepsi, Sainsbury’s, British Airways, DFT, Sol, Sparks, Google, Adidas, Gatorade, Royal Mail, BT, Doritos, Kids Company, National Lottery, Met police and Barclays. I have judged several photographic and illustrative awards and given talks on commissioning photography and illustration. Maxine has been an Art Buyer for 15 years, starting her career at Leo Burnett. After spending 8 wonderful years there, she moved to Grey London, where she headed up the Art Buying department at the pinnacle point when Grey turned from industry dinosaur to one of the most awarded agencies in London. A year later, the Project Management and Art Buying departments transitioned to Creative Production. Always changing and adapting to the metamorphosing production landscape, she made the move to Senior Creative Producer, working across Luxury Fragrance Brands, such as Hugo Boss and Stella McCartney, for more than 4 years. This afforded her to work with some of the most prestigious photographers in the industry, such as Mert & Marcus, Guy Aroch and Mikael Jansson. In this time Maxine has also sat on the judging panels for D&AD, AOP and YCA. More recently, on seeing the industry evolve, Maxine decided to set her sights on retraining and becoming a TV Producer, making her a fully integrated producer. Maxine now heads up Production for Pantene Europe at Town Production, the new production company servicing Grey London. Mirjam Kooiman is an art historian and curator at Foam Photography Museum Amsterdam, where she was responsible for shows including Ai Weiwei - #SafePassage, Daisuke Yokota – Matter, Awoiska van der Molen – Blanco, and the Foam Talent editions of 2015 and 2016. In 2017 she also initiated a series of collaborations with photography platforms in Mexico, Nigeria and Indonesia in Foam’s project space Foam 3h, in order to create an exchange of cultural knowledge on photography discourses worldwide. She is currently researching how photography can relate to virtual realities, gaming and online experiences. 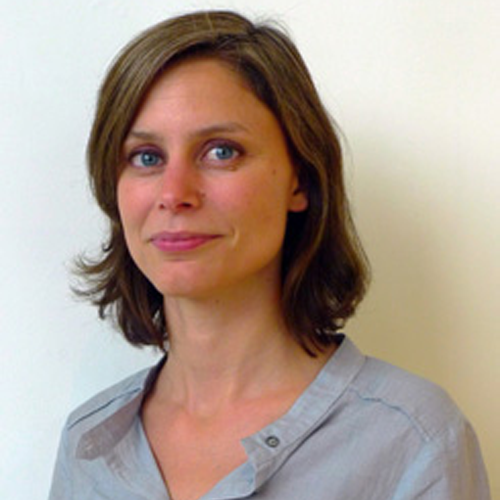 Mirjam holds a BA in Art History and a MA in Museum Curating from the University of Amsterdam, with a special interest in postcolonial approaches in the arts and museum studies. She previously served as a curator in training at the photography collection of Amsterdam’s Stedelijk Museum. She has written for L'Internationale and she is a regular contributor to Foam Magazine. Sarah Allen is a photography specialist. She is Assistant Curator at Tate Modern where she curates displays and exhibitions as well as researching acquisitions for the international collection. She has recently curated Martin Parr (2018), Mark Ruwedel (2018), Daido Moriyama (2017), Kaveh Golestan (2017) and Gyorgy Kepes (2017) as well as the thematic displays 1968 Protest and the Photobook (2018), Iranian photobooks (2017) and integrated displays featuring Stephen Shore (2017) and Shunk-Kender (2016). She has a specialist focus on photobooks and is curator of the Martin Parr photobook collection. She is currently working on the major exhibition Shape of Light: 100 Years of Photography and Abstract Art. Before taking up her role at Tate she worked in several museums and galleries including The Photographers' Gallery, London, The Hugh Lane, Dublin and The Solomon R. Guggenheim, New York. Working as Director of Photography Steve commissions content across all print and digital editions, social media and events, art directing photographers and planning photo shoots in locations around the world – from African deserts to Silicon Valley headquarters to top-secret military bases. Steve started his career in 1998 working as Picture Editor at IPC's long-running Melody Maker. He moved on to similar roles at respected music titles NME and Mojo before becoming Q magazine's Director of Photography. In 2008 he joined Condé Nast as part of the launch team for WIRED magazine's multi award-winning UK edition. Dagmar Seeland is the UK Photo Editor of the German weekly Stern magazine. She proposes story and feature ideas, commissions and buys work for STERN and contributes to its associated titles. She is also Director of K&R Media Ltd, a full-service correspondents' office with a list of predominantly German and Swiss publications. Dimitri Beck is the director of photography of Polka. Dimitri has been part of the executive management of Polka, based in Paris since its beginning in 2008, contributing to the development of the magazine, gallery and website, including the magazine’s new feature-rich iPad version. Dimitri lectures on photojournalism at conferences and educational institutes. Prior to working at Polka, from 2004 till end of 2006, he was the Director of the Aina Photo Agency based in the Afghan capital Kabul and the editor-in-chief for the Anglo-French feature magazine Les Nouvelles de Kaboul - New Afghanistan. Before that he was the editor-in-chief of Reza's photo agence Webistan. Dimitri started working as a freelance journalist abroad and regularly across Central Asia and Caucasus mountains. Emmanuelle Peri is the Photography Director at Bookmark London, overseeing the creation of visual content for brands such as American Express, Christie’s, Fabric Magazine, Tesco, Standard Life and Patek Philippe. She commissions and art directs in-depth travel and architecture photography essays, portraiture and still life, as well as documentary. Educated in Art History & Museology at the Sorbonne and École du Louvre in Paris, Emmanuelle is committed to enabling new talents to emerge and is most interested in work with a strong editorial and artistic focus. She likes to nurture a dynamic working relationship with photographers, encouraging a collaborative creativity to develop. Particularly keen to see unusual ideas for travel, arts and architecture photo assignments. Louisa is a Senior Art Producer based in London. After completing a Masters in Illustration at Central Saint Martins her love for everything creative led her into the world of advertising where she has worked at some of London’s biggest ad agencies including BBH, adam&eveDDB and now AMV. She commissions photography and illustration - producing work for clients including British Airways, Sol, Vespa, O2, John Lewis, You Tube and Guinness. She has a passion for Mexican culture, neon colours, fairgrounds and travel. Krishna Sheth is a Art Buyer and a Director of Photography, commissioning for print and web content for a variety of clients, including the Financial Times, Telegraph Media Group, Airbnb, The Robb Report and Raffles as well as book publishers and individual luxury clients. Krishna has more than 23 years’ experience of commissioning photography and photo research; She was Deputy Photography Director at the Telegraph Magazine for 17 years and a key player in building the visual profile of the magazine. Krishna specialises in editorial and contract publishing, dealing directly with newspapers, magazines and commercial clients. She is also a tutor on the MA Photography online for Falmouth University and lectures at various universities. She is Chair Judge for pre-selection for all Sony World Photography Awards. Krishna also reviews portfolios and book dummies and is passionate in raising awareness for emerging talent in the industry. She works for the independent weekly magazine Internazionale. Internazionale publishes the world quality press translated into italian. Before Internazionale she attended Riccardo Bauer photography school in Milan, traveled across the world as an assistant photographer, worked for Franca Speranza photography agency, Contrasto photojournalism agency and she was photoeditor for L’Espresso Editorial Group and for Left Avvenimenti weekly magazine. She run an advanced photo editing class organized by Internazionale and Luiss university in Rome, she was president of jury for G. Tabò prize during Fotoleggendo and she sometimes gives lectures about her job and about the making of Internazionale cover. Ivy Lahon is Managing Picture Editor of Save The Children and commissions reportage and creative documentary photography and film worldwide. With over 15 years experience in the industry, Ivy has produced large scale long term photography projects and film shoots in the field. Prior to moving to NGO’s, Ivy worked as Associate Picture Editor at The Independent and ‘i’ paper for ten years commissioning news, portraiture and features photography during some of the biggest breaking global news stories of the decade. In the past she has picture edited for The Guardian and Time Out and spent 2 years working with Amnesty International on photographic projects including the first book by former Amnesty Secretary General Irene Khan and the imagery for Amnesty’s 50th anniversary in 2011. She has lectured in Photojournalism and is a mentor for young photographers at the London College of Communication. She is interested in new takes on classic photojournalism, innovative ways of humanitarian storytelling and the cross over between fine art and documentary photography. Claire is the Photoworks Curator and has worked as a creative producer with photographers, commissioning organisations and festivals for over 15 years. Previous work highlights include: Black Country Stories with Multistory and Martin Parr (2010-2014); Open for Business with Multistory and Magnum Photos (2011-2012); Pictures from America: Rochester with Magnum Photos (2012); Ex-offenders with Multistory and David Goldblatt (2012-2013); HOUSE Biennial (2015 - 2017); Brighton Photo Fringe (2016) and most recently with Photoworks for the Jerwood/Photoworks Awards (2017-18) and the eighth edition of Brighton Photo Biennial (2018). I have worked as an editor at Vice since 2011, mainly for the magazine. In the meanwhile I've produced shoots, written for Real Time and Robinson, and for TV and web series. In Milan I organise a music night, Hotel Mediterraneo; and have a column on packed lunches on Munchies. But lately, one of my day-to-day missions is to find young photographers to commission for branded projects. Ellis Jones is the Editor-in-Chief of VICE magazine. She started as an intern at the company's New York headquarters in late 2008 and rose through the ranks, becoming the first female editor-in-chief of the magazine in September 2015. She now resides in London, where she continues that role. Emily has worked across 25 titles so far in Consumer magazines, newspaper supplements and commercial departments. After Graduating in Photography at The London College of Printing, Emily worked for Milk Studios in NYC, Nick Knight for Show Studio - Emily, then dipped in to the film industry briefly to work for Michael Winterbottom, before choosing a career in publishing. Currently, Emily is a picture editor at The Sunday Times Magazine. Some of the titles she has worked at previously, are as follows: The Telegraph, The Week, Timeout, Men's Health Magazine, Wired, FHM, Sport, as well as for some of the major publishing houses such as John Brown, Redwood, Seven..
Emily is passionate about discovering new talent, and very much looks forward to meeting many new and talented photographers. I have over twenty years' picture editing experience across a range of newspaper titles and have been picture editor of the Guardian for the last nine, having recently taken up the role of Head of Photography for the Guardian News and Media Group. Throughout my career I've been involved in the coverage of some of the most historic news stories of our time including the events surrounding 9/11 and the subsequent terror attacks in London and across Europe, conflicts around the world from Bosnia to Iraq and Afghanistan, the revolution of the Arab spring and the continuing violence in the middle east, large scale natural disasters such as the earthquakes in Haiti, tsunamis in southern Asia, famine in Sub-Saharan Africa and the humanitarian crises resulting from the growing refugee numbers across the globe. Also a good few UK general elections and political change and upheaval worldwide. In addition I've had the wonderful opportunity of delivering talks at photo festivals and to students of photojournalism and have enjoyed judging the Sony World Photography Awards, the UK Picture Editors Guild Awards, the Renaissance Photography Prize to name a few. Last year I was a been a nominator for the Prix Pictet and joined the jury of The Taylor Wessing Portrait Prize. Most recently I took part in the juding panel for the Lensculture Exposure Awards. Francesca is a photo editor, journalist and documentary maker. Born in Pesaro she moved to Milan to live and work. In the early 90 she studied and graduated at the ICP in NYC. When Francesca moved back to Italy she started collaborating on documentaries and working with a range of clients as photo editor. In 2015 she worked as a digital photo editor with Matrix publishers and communication network Alice.it. In 2008 Francesca started working with Conde Nast as photo editor on Wired Italia, winning several international prizes including the SPD's Best Magazine of the Year. She is currently the senior photo editor of GQ and Wired Italia. Between 2018 and 2019 she curated the documentary photography of "The man of the trees", directed by Andrea Trivero and currently shortlisted in several international festivals. Francesca is also a dedicated activist for human rights, volunteering for Pacefuturo ngo looking after asylum seekers in Italy. Venetian, award-winning independent curator majored with a first class degree in Critic of Contemporary Art, she has studied in both Venice and Paris winning a University fellowship at Magnum Photos Paris’ archives. Over the past ten years she has worked as a producer for both exhibitions and books, supporting over sixty photographers including Koudelka and D’Agata. Francesca’s work is linked to the production of a number of projects for Magnum Photos, both in Paris and Milan. Her works as a curator, writer and researcher include Shining in absence book (AMC - Kessels); Mother Nature (RVB - Kessels); Dalston Anatomy by Lorenzo Vitturi book (SPBH) and shows in Europe (Foam Museum in Amsterdam, CNA Luxembourg, The Photographers’ Gallery in London, in Yossi Milo Gallery in New York and at IMA Gallery Tokyo); Alex & Me by James Pfaff book (Montanari) and solo show at the Street Level Photoworks Gallery during the Festival Glasgow International 2018 and the new book Alex & Me – Coda by James Pfaff (Montanari) 2018. Francesca, previously leader of the group of curators and archival researchers at Fabrica of the Benetton Group, she is Tutor for Fashion, Art and Cultural Context BA at Istituto Marangoni (Manchester Metropolitan University) School of Fashion in London; Tutor for the Photobook and SelfPublish BA course at London South Bank University. She supports artists and young creative in discovering their own style and in developing the concept and the layout of their book and exhibition. Her texts and curatorial works are published internationally by RVB, AMC, SPBH, Trolleybooks, Silvana Editrice, Montanari and Witty Kiwi. I'm a Senior Art Producer and Senior Art Buyer with over 8 years experience in producing photography, illustration, film, art, model making, CGI and post production. Aussie by birth and British by residence, my career began after I won a D&AD New Blood Award for illustration. Since then, I've been featured in Campaign's Emerging Talent Portfolio and climbed the ranks at AMV BBDO in London, where I now serve as a Senior Art Producer. Whilst here I also had the opportunity to Art Produce for Irish International, Seven C3 and Creative Producer with AMV Live. I have been working as an art buyer and producer for over 10 years, during which time I have commissioned high end photography, illustration, CGI, typography, retouching and design across a broad range of clients including Levi's, Lynx, Audi, Amex, World Gold Council, to name a few. My skill set includes creative/image researching, all aspects of shoot production and budget management. My knowledge, great contacts and strong relationships mean I am able to ensure that work is produced to the highest quality whatever the deadline or budget. She joined BBH in 2005 as Head of Art Buying, working across many of the agencies clients including Barnado's F**k off campaign and the St John Ambulance Dead People. She became Head of Art Production in 2009 and prides herself with being part of a truly integrated production offering and nurturing some of the most creative Art Producers in the business. Iona Fergusson is an independent curator, producer and creative director specialising in lens based work. She worked for 6 years as Photo Editor for Vogue India before returning to the UK to complete a Masters in the History and Critical Theory of Photography at Sotheby's Institute of Art. In 2015 she worked as Programme Director for the Delhi Photo Festival and is currently on the Creative Team for their next edition in 2018. Recent curatorial projects include in May 2017 the screening of The Lost Head & The Bird: an immersive multi-platform video by Indian artist Sohrab Hura at experimental festival Peckham 24 in London and in June the exhibition A Million Mutinies Later: India at 70 - part of an ongoing collaboration called Dreamtigers between Ffotogallery/Diffusion Festival Cardiff and Nazar Foundation in New Delhi. She is currently working on Girls! Girls! Girls! a collaboration with Creative Black Country, Multistory and Nazar Foundation, which has commissioned four female artists (2 Indian and 2 British) to create a compelling bodies of work linking women's stories from the Black Country and the Punjab. Joanna Borton is the Creative Services Director at Above + Beyond. She has been a creative producer for the last 15 years producing for a wide range of clients including Audi, Qatar Airlines, Benetton, Replay Jeans and Tesco. Having returned from living and working in Amsterdam at 180Amsterdam for 4 years, she is bringing her exhaustive knowledge of photographers, illustrators and animators from across the globe to the UK. Josh is the Deputy Picture Editor at the FT Weekend Magazine, and co-founder of the book publishing side of Tartaruga. Up until 2014 Josh was the Assignments Editor at Panos Pictures. Emily Graham is the Cultural Commissions & Partnerships Manager at Magnum Photos, where she manages Magnum’s UK exhibitions, cultural commissions, and special projects. She is also a freelance creative consultant and curator. Francesca Genovese’s background is as a contemporary photographic artist and a lecturer in photography. She has managed photography departments in Further and Higher Education since 1999, and received her PGCE from the Institute of Education in 2000. In 2003, Francesca was awarded her MA in Photographic Studies from the University of Westminster. Having spent over fifteen years developing photography programmes, Francesca is dedicated to providing opportunities for a wider audience to learn about and enjoy photography within a gallery setting. She is also passionate about mentoring the photographers she works with, supporting them in their artistic careers. Harry has been working in photography for over 10 years, starting as the assistant to the director of photography at The Times, then as the photo editor for The Times Luxx Magazine. After The Times, Harry worked as director of HOST Gallery, London before founding Here Press, a company that publishes books of photography that explore new forms of documentary practice. Harry is also director of cultural projects for Panos Pictures and has curated numerous exhibitions of contemporary photography. Hannah Watson is the Director of Trolley Books and contemporary art gallery TJ Boulting. Established in 2001, Trolley Books publish a diverse range of titles presenting unique stories in photography, photojournalism and contemporary art. In particular Trolley has championed the work of many photographers often publishing their first book, including those of Adam Broomberg and Oliver Chanarin, Paolo Pellegrin, Alex Majoli, Stanley Greene, Nina Berman, Robin Maddock and Alixandra Fazzina. This year Trolley were chosen to be the inaugural co-publishers with The Photographers’ Gallery for their Bar Tur Book Award, for a graduate or recent graduate’s first book, which was won by Angus Fraser and his project on Santa Muerte. In 2005 Trolley Books received a special commendation from the Kraszna-Krausz Book Awards for its outstanding contribution to photography book publishing. Hannah Watson joined Trolley in 2005 and continues the legacy of its founder Gigi Giannuzzi, who died at the end of 2012. The gallery TJ Boulting was founded when they relocated to new premises in Riding House Street, Fitzrovia in 2011. TJ Boulting’s programme supports and represents emerging contemporary artists in all mediums, and currently hosts the BJP IPA award, which was won last year by Dominic Hawgood. 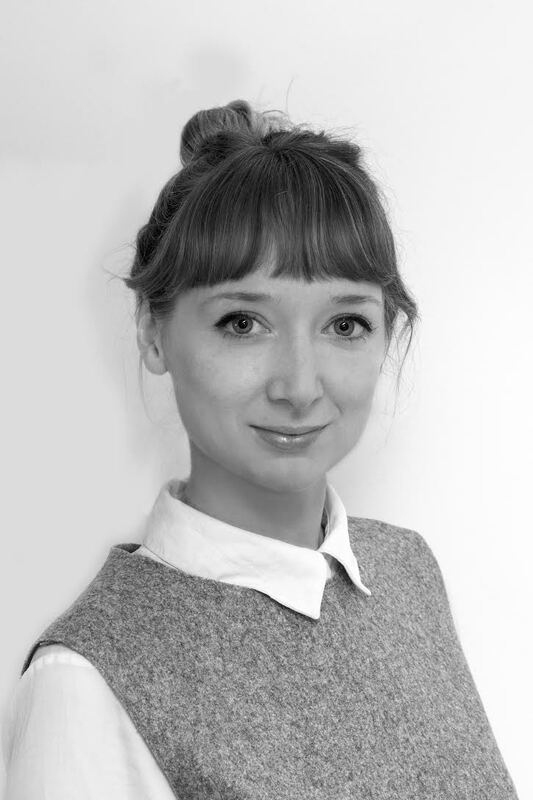 Rachel Wickham is production lead and partner at BBH London. She has over 20 years of experience in art buying and production, having commissioned a large range of campaigns for various notable clients, such as Tesco, Audi, Christie's, Barclays, Lynx, and many more. She has shot with some of the world's leading photographers such as Emma Summerton for Dulux, and Miles Aldridge for Baileys. She has led a number of exhibitions and charity fundraisers, notably the 'She Lights Up the Night' exhibition and auction in aid of Refuge charity, where various illustrators were commissioned to create one off pieces - such as leather jackets decorated by Hattie Stewart. In 2010 he co-curated Paper, Rock, Scissors: The Constructed Image in New British Photography at Toronto’s Flash Forward festival. And in 2011 he curated Time & Motion Studies: New Documentary Photography Beyond the Decisive Moment at Hereford Photography Festival. He has been a judge or nominator for numerous awards, including the Deutsche Börse Prize, Prix Pictet and Hasselblad Award, and he has worked with education institutions including The Royal Academy of Art in The Hague and École cantonale d'art de Lausanne. Shoair Mavlian is director of Photoworks and is responsible for curating the 2018 Brighton Photo Biennial. She was formerly assistant curator, photography and international art at Tate Modern, London, where she curated the major exhibitions ‘Shape of Light: 100 Years of Photography and Abstract Art’ (2018), 'The Radical Eye: Modernist Photography from the Sir Elton John Collection' (2016), 'Conflict, Time, Photography' (2014), 'Project Space: A Chronicle of Interventions' (2014) and 'Harry Callahan' (2013). While at Tate Modern she also researched acquisitions and curated displays from the permanent collection including ‘Dayanita Singh’ (2017), 'Lynn Cohen and Taryn Simon' (2017), 'Sirkka-Liisa Konttinen' (2016), 'Close Up: Identity and the Photographic Portrait' (2015), 'Charlotte Posenenske and Ursula Schulz-Dornburg' (2014), 'Lewis Baltz and Minimalism' (2012), and 'New Documentary Forms' (2011). Recent independent curatorial projects include the exhibition 'Don McCullin: Looking Beyond the Edge' (Les Rencontres d'Arles, 2016) and 'In flux' (Kanellopoulos Cultural Centre, Greece, 2015 and Getxo Photo 2017). Shoair has a background in fine art photography practice and the history of photography focusing on the twentieth century. She has a strong interest in photography relating to conflict and memory, Central and Latin American photography and emerging contemporary practice. Recent publications include ‘Shape of Light: 100 Years of Photography and International Art’ and 'The Radical Eye: Modernist Photography from the Sir Elton John Collection'. Karen McQuaid is Curator at The Photographers’ Gallery where she has curated exhibitions including Jim Goldberg, Open See (2009); Fiona Tan, Vox Populi London (2012); Andy Warhol, Photographs: 1976 – 1987 (2014); Lorenzo Vitturi, Dalston Anatomy (2014) and Rosângela Rennó, Río-Mondevideo (2015). Karen has also curated exhibitions at The Moscow House of Photography and The National Gallery of Kosovo. She regularly contributes texts and edits artists’ books, writes for international photography publications and institutions, and guest lectures across the UK.